Moving your home can be stressful, frustrating and costly. Most moving companies simply want to complete your move so they can get to the next one – and if you think you can save some money doing the move yourself, you need to think about spiraling rental fees, expensive fuel costs and costly moving supplies, not to mention the physical and stress toll. It all has a price. Over the last few years we have perfected our studio relocation strategies to include affordable, practical and efficient services for even the smallest moves. An apartment can still be your castle. A whole entire life can fit into three rooms. We will devise the easiest and most affordable plan for you. When moving your family into a new home, we will take extra care to make sure that you and your loved ones and their possessions are well looked after. Discretion is Key. Our professional staff will provide on site supervision. Our highly trained movers will provide the best amenities requested by politicians, celebrities and executives. Our customers are our most precious cargo. Nowadays every penny counts and we want to give you less to worry about. So when planning your move we take extra steps to provide you with an affordable and easy experience. This is why we are one of the most well known and trusted relocation experts in South Florida. Moving and relocating can be very stressful. 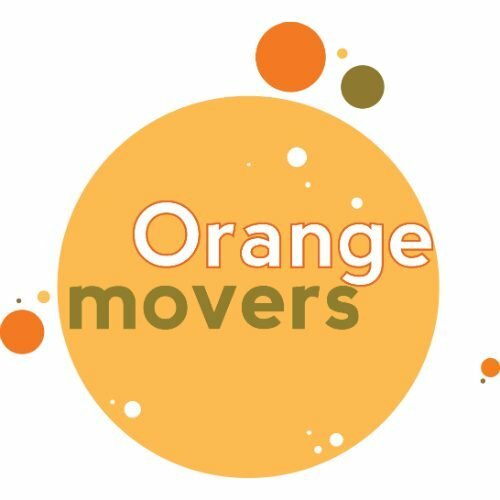 So don’t settle for less then Orange Movers! We have our specialized team that will help you build a step by step plan for your move- big or small, local or international. We will help reduce the stress and create an affordable, customized solution for you. Whether you’re moving an apartment, a house or a large estate, we make your relocation fast and affordable and you will arrive in your new home safely and stress free. We can deal with all your concerns no matter how big or how small. Although moving to a new home can be a wonderful adventure, just the thought of all the packing and transporting can be very stressful. You should make sure that your moving company is trustworthy and hands-on. We treat your belongings as if they were our own and make sure that they get to your new home safely. In order for us to properly assist you in the move and take the stress off your shoulders, we offer unique designed services to custom fit your needs. Although we do control every aspect of your move, everything is done by confirming with you first. We will not change our plan or convince you to take extra services. We will be there with you every step of the way. Our full service residential moving experience is unique. We have created various different services that come together to bring you the ultimate moving experience. Full Packing and unpacking at your new residence. Staff that takes inventory of all your items. Completion of project from start to end. Very little downtime. A large fleet of well maintained trucks and vans. Fully gassed and fully insured. 100% safe transport of your valuables. All pre move services as well as professional project management. State of the art equipment to protect your valuables. Moving bins made with 100% biodegradable plastic. Decades of experience in the moving industry. We don’t want you to be stressed and worried. So to save you time in getting estimates, check out our moving calculator and you’ll get a quote within 3 minutes and also be pleasantly surprised by how affordable our fantastic services actually are.